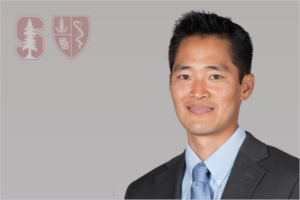 Andy joined the Stanford sports medicine team as a staff physical therapist in 2011. Prior to his arrival, he worked in a variety of sports and orthopaedic settings in Honolulu, Seattle, and Atlanta, where he had the opportunity to work with professional, Olympic, collegiate, and high school athletes. With his clinical interest and background in movement dysfunctions, Andy approaches his care of student-athletes focusing on biomechanical assessments and correcting movement impairments. While he provides care to student-athletes from all 36 varsity sports programs, his primary team assignment is baseball. Andy remains committed to seeking new knowledge and skills to integrate into the delivery of care for his patients, as well as collaborating with other members of the health care team and athletic department. Andy serves as the Center Coordinator for Clinical Education (CCCE), a position in which he establishes and maintains clinical rotations at Stanford for students enrolled at physical therapy schools. The physical therapists at Stanford sports medicine are committed to furthering their profession through mentoring of physical therapy students and sharing information with other health professionals.